Technology has made our life full of comfort. The latest gadgets and equipment make our life quite easy and interesting as well. Out of the wide range of products available within your personal space, let us talk about the webcam. Probably it is one of the most feature rich but under-utilized thing in your home. Probably, you use it to capture crazy selfies and to hang out with friends and family online. But dude! It has many more impressive applications that you should explore now. The latest advanced webcam units have provided a new scope to the virtual conversations that you can explore to enjoy added safety, convenience and adventure. Below we have highlighted 5 innovative ways to use webcams in your routines. It is now possible to live stream all your memorable life moments online to let your friends know how you are enjoying your special day. Whether it is your birthday party, graduation day celebration, wedding day or a special dinner party with family; you can capture all the happenings of your life and share them with your near and dear ones online. You will be happy to know that there is a wide range of live streaming apps that can assist you to make your content public, instantly and seamlessly. The great news is that latest platforms are loaded with advanced features that make the flow more natural without annoying users with choppy content. The process to live stream content on social media platforms is quite easier, all that you need is a webcam and sign up for a trustworthy service that offers free live streaming experience. One of the most preferred solutions is Ustream.tv where you can create your personal channel for streaming live videos, and they can be further shared with family and friends. This live streaming platform allows users to get millions of viewers from a different corner of the world and they can watch your content without any restriction. We all love to capture memorable photographs, and the current generation is more crazy about selfies. But it is time to step ahead of the simple selfies and even beyond those pouts and funky filters. The latest applications can help you to capture silly photos with funny effects, and the great news is that most of these apps are available for free. One of the most popular platforms in the list of latest webcam supported photo editing software tools is PhotoBooth. It is available for free and works perfectly with the Mac systems. You can apply these effects instantly right after clicking your silly pose photograph and share them with friends to have fun. Another popular online service to enjoy silly photo creation is Cameroid that is loaded with wide range of present effects and filters. You can use PhotoBooth for special events and parties, and the silly photo collection can be easily sent to a printer. This application also allows users to share pictures instantly via emails or they can be made available to the near and dear ones via social media platforms such as Twitter and Facebook. You can download a trial version of PhotoBooth for Mac and Windows. Note that it works for 30 days with watermarked results; however, if you are interested in enjoying custom experiences; it is good to buy the personal license by paying $55 only. Everyone wants additional security in the living premises and public places as well. It is the need of the hour, but homeowners are not always able to spend a huge amount on installing advanced security cameras. The great news for you all is that even the basic webcams can meet your surveillance related desires with ease. They work perfectly with the latest motion detection software and can activate sensor-based monitoring 24x7. The surprising fact is that these webcams can even record infrared light movements that are otherwise invisible to human eyes. Hence, they are the best solution for night time monitoring. Similarly, webcams can also be used for pet monitoring. Simply download Yawcam or any other software tool and set up your monitoring system in the area where pets keep on playing most of the time. You can have a close view of their all movements and can ensure perfect safety for them. If you are a crazy game lover than it is high time to know that webcams can create exciting gaming experience for you with latest interactive game controlling technology. You will be happy to hear that internet is loaded with so many impressive games that are played with sensor-based controls. These sensor-based controls are generated by players in the real world by moving limbs, and all the movements are captured by webcams to create a virtual application on the screen accordingly. You not even need to spend on expensive consoles, these webcams can be fixed to existing laptops and desktop computers to enjoy realistic gaming experience online. Some of the most popular games in this category are WebCam Mania, Human Pong, and Dodgeball, etc. Software that supports hand gesture-based movements to perform virtual actions is CamSpace and Flutter etc. Many people are using Flutter to control various function on Netflix, Grooveshark, Pandora and YouTube as well. The technologies have now created new solutions for the security of your digital data. 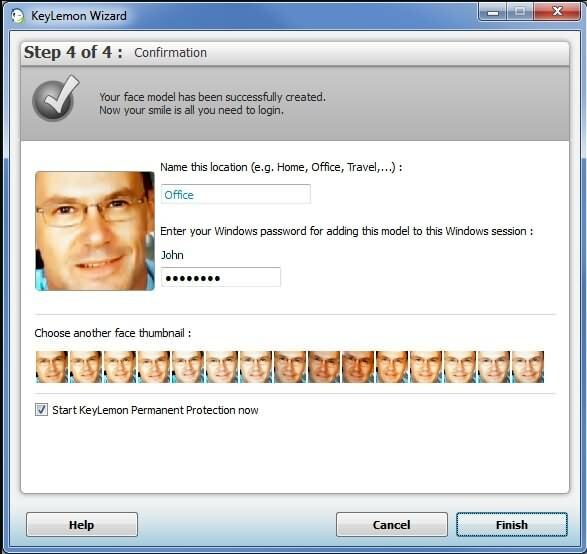 There is no need to remember lots of passwords; you can log in to your computer using face recognition feature. There are so many software tools online that can work perfectly on Mac and Window systems to manage login needs. Some of the most popular ones are KeyLemon and Rohos Face Logon. Earlier face recognition was a difficult application but today many advanced security systems are loaded with this feature, and it has become possible with the latest webcams only. These sensor-equipped systems are capable enough to ease your routines and can bring you out of all control related mess. It is the best way to improve productivity with the latest tools. The webcam at your home is no longer just a gadget to transfer your emotions and memories into pictures and videos. Rather it can do so many awesome things for you. Experts call it an all in one system with security features, game engine support, and toy-like capabilities. Hope! Soon you will also start making best out of your webcam and will explore its full potential.